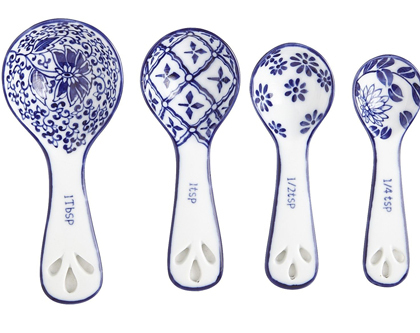 Hand-painted in traditional blue and white, these authentic porcelain Tang Blue & White Measuring Spoons feature mix-and-match patterns: Scroll, floral and paisley. $12.95 Sale $9.98. Buy here.